I'm not sure how this keeps happening. The first year I waited at a mall for 5 hours to get the original iPhone. The following year my friend Mark Rein convinced me to see a midnight showing of Hellboy II and then wait outside of an AT&T store all night to get the iPhone 3G. You'd think I'd learn by the third year but once more I was in line at the mall hours before the Apple store opened to get the 3GS. This year I thought it would be different. 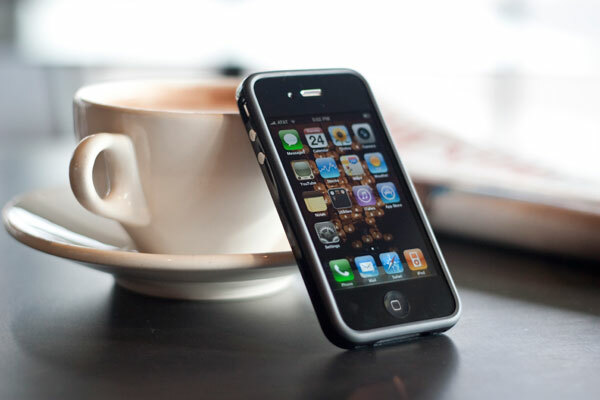 Apple offered free overnight shipping to anyone who wanted to pre-order the iPhone 4. Figuring everyone would go that route I decided to beat the FedEx trucks and just show up at the mall at 6AM. I'd be in and out in a little over an hour, which would give me a head start on battery life testing on Apple's 4th generation iPhone. I promise that not all of my decisions play out this poorly. Those who pre-ordered the 4 and requested overnight delivery got their phones early and my one hour wait turned into six hours at the mall, for the fourth year in a row. It's a self fulfilling prophecy. Steve gets up on stage, proclaims the iPhone 4 to be the biggest introduction since the original iPhone, and the public flocks to Apple stores to fork over $200 on day one and around $2500 over the course of two years for the privilege. But this isn't 2007. Apple has real competitors in the smartphone space. Android phones have grown in features, polish and popularity. Even Palm entered the race with a competant offering, and Microsoft isn't far behind. It's easy to start a revolution when everyone else is doing the wrong thing, but what about when more companies actually get it? Was Steve justified in his excitement over the 4? That's what we're here to find out today. 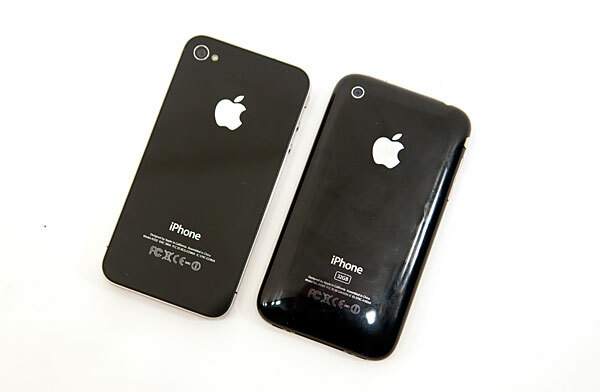 The iPhone 4 is slightly heavier than the 3GS (4.8oz vs. 4.7oz). You feel the added weight but I wouldn't call it heavy. 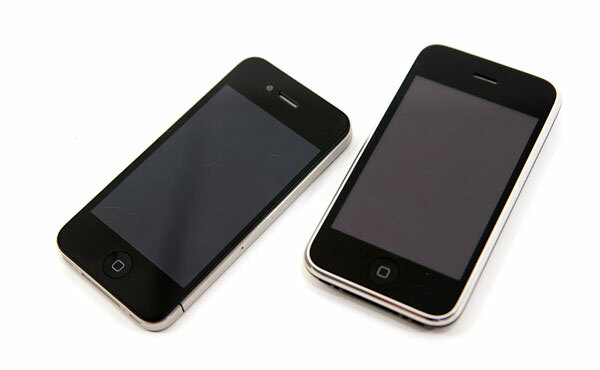 The front and the back of the iPhone 4 are both made out of glass, and they protrude beyond the stainless steel band that wraps around the phone (more on this controversial decision later). While this gives the 4 an amazing finish, it also makes carrying the phone nerve racking. Coupled with the smaller, more dense form factor I’m now deathly afraid of dropping and shattering this thing. Apple has done a lot to reinforce the glass, however there have been enough reports already of shattered iPhone 4s for me not to feel very safe. Only Apple would think to make the two surfaces most likely to hit something out of glass. It's like making mouse traps out of cheese, something bad is bound to happen. The physical buttons (but not their layout) have changed on the 4. The ringer switch has shorter travel and feels sturdier as a result. The volume rocker has been replaced by discrete volume up/down buttons, also very sturdy in feel. The power/lock button is also now made out of stainless steel. Only the home button remains unchanged, although it does seem to make a deeper click when you use it. The speaker moved to behind the right grill at the bottom of the phone instead of the left. The dock connector thankfully remained unchanged. It looks like Apple is committed to maintaining this connector until it makes the jump to something wireless (or optical?). The back of the phone is pretty. Apple broke with tradition and finally included a single LED flash on the phone. The flash comes on in low light conditions and is enough to take shots in total darkness. The camera has been upgraded to a low noise 5MP sensor. It can shoot stills at up to 2592 x 1936 or video at 1280 x 720 @ 30 fps. We’ll go into greater detail on its quality in the camera section. 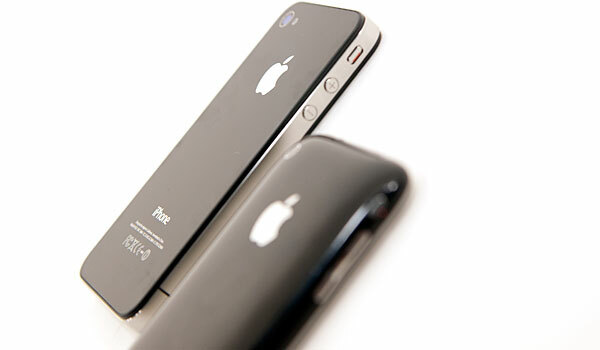 The iPhone 4 also adds a front facing camera capable of shooting both photos and video at 640 x 480. Apple quotes contrast ratio as 1000:1, in our measurements we got very close (952:1). A significant improvement over the 188:1 ratio of the 3GS. Apple achieved this by both dropping black levels and increasing the white levels on the display. Improving both is always fine by me. Internally the iPhone 4 uses Apple's new A4 SoC, built around an ARM Cortex A8 CPU and a PowerVR SGX GPU. The new SoC is built on a 45nm process and features 512MB of memory on the package. Apple hasn't made CPU clock speed public, but I'm guessing around 800MHz compared to the iPad's 1GHz for reasons you'll see later. GPU clock speed is unknown as well. Having more memory on package is an interesting move by Apple as it makes the iPhone 4 better suited for multitasking compared to the iPad. Also implying that shortly after the iPad gets multitasking it'll be updated to a version with more memory as well. The iPhone now has an gyroscope as well the rotation sensors of its predecessors. 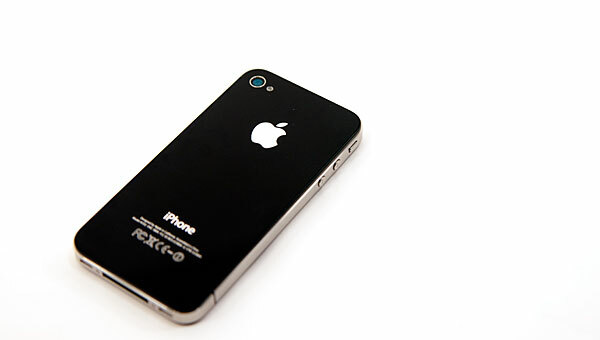 Developers are given full access to the gyroscope making the iPhone 4 capable of becoming a very expensive Wii-mote. The iPhone 4's logic board shrinks in size thanks to further component integration, making room for a much larger battery. 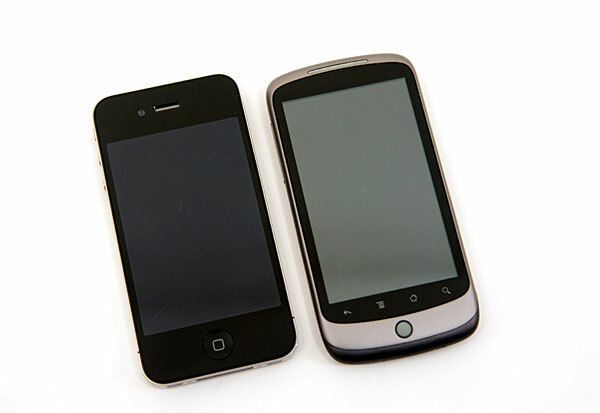 The 5.25Whr battery in the iPhone 4 is a 16% increase from what was in the 3GS, and 95% of what HTC put in the EVO 4G. While raw performance improved, it's clear that Apple's focus this time around was battery life. Again, we'll dive into specifics later in the review. Moving back outside Apple surrounded the phone with a stainless steel band. This band doubles as the 3G, WiFi and Bluetooth antennas. And if you hadn't noticed, it also moonlights as a giant elephant. Let's talk about it.